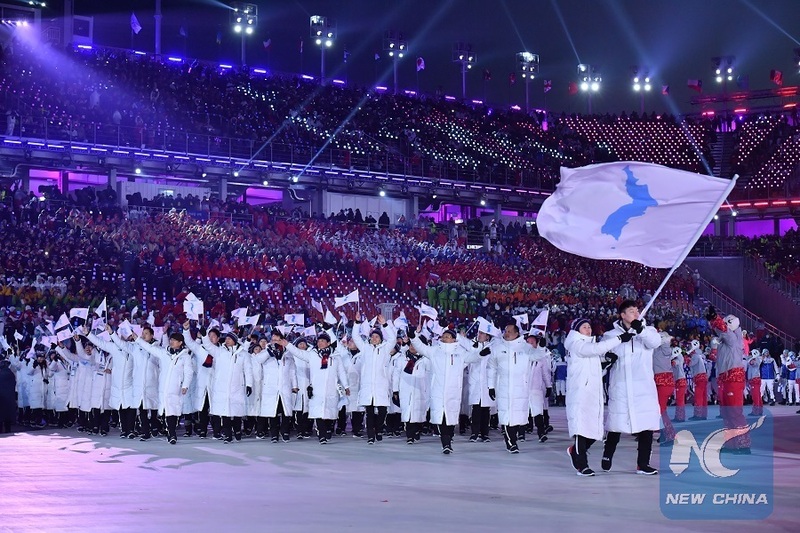 SEOUL, Nov. 2 (Xinhua) -- South Korea and the Democratic People's Republic of Korea (DPRK) agreed on Friday to jointly deliver a letter to the International Olympic Committee (IOC) to express their intention to co-host the 2032 Summer Olympic Games. The agreement was reached after the working-level sports talks were held at the joint liaison office in the DPRK's border town of Kaesong, which opened in September for the around-the-clock communications between the two Koreas. Under the joint press statement, adopted after the talks, the two sides agreed to jointly deliver the intention letter to the IOC and continue to discuss necessary issues. The two Koreas agreed to jointly participate in international sports events, such as the 2020 Tokyo Summer Olympics, and push to field unified teams through consultations with the IOC and other international summer sports federations. As the first step, the two sides agreed to push for the joint participation in the men's handball world championships in 2019. To ensure the mutual development in the sports sector, the two Koreas agreed to actively participate in international sports events, hosted by either side, while jointly holding friendly matches to increase inter-Korean sports exchange. The joint bid and participation in international sports events were agreed upon after the third summit in September in Pyongyang between South Korean President Moon Jae-in and top DPRK leader Kim Jong Un. The inter-Korean sports dialogue was held again after four months. The former one was held in Pyongyang on July 5 when the DPRK decided to send its athletes to a South Korea-hosted table tennis event. The two Koreas fielded their first unified Olympic team for the women's ice hockey competitions at the 2018 Winter Olympics that was hosted in February by South Korea in the country's eastern city of PyeongChang.